Coworking office space to rent is gaining in popularity. Along with dedicated coworking spaces more and more regular businesses are recognising the benefits that come as part of the experience when you rent office space to start-up and growing businesses. Here at Share My Office we're seeing our database of desk space grow daily, especially desk space in London. So here's our take on why shared office space is getting real traction and finding a ready market. It's our view on why providing an office space rental opportunity can benefit those with spare capacity. If you've got a desk or office in your organisation that's sitting empty you're missing a trick. For example desk space in London is in demand and that empty desk could be bringing two or three hundred pounds a month, often a lot more if your desk space is in a great location. If for no other reason than the additional income it can generate, creating a coworking opportunity within your office has to be worth considering. If you're an established business you may have forgotten the hungry years. Seeking out your first clients, keeping a close eye on your cashflow and perhaps operating from your spare room or kitchen table. It's not ideal. Could your business have grown quicker in a business environment? 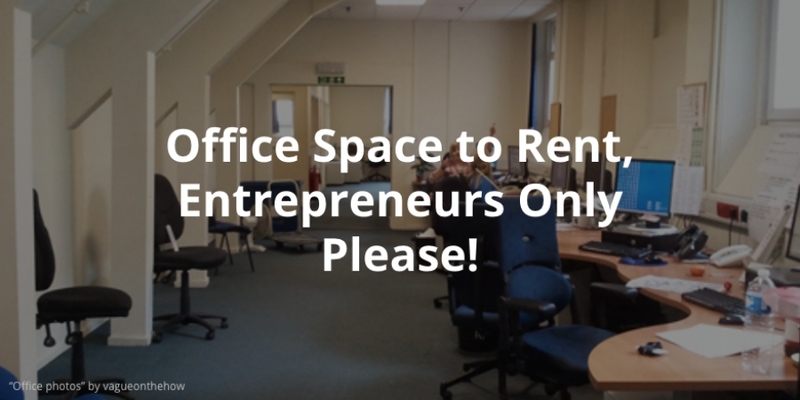 Would having affordable office space to rent have helped you? We're guessing it would and by offering your spare desk space you'll be potentially fast tracking tomorrow's business leaders and helping them create tomorrow's economy. 3. It Helps Your Business To Grow! Having fresh blood in your office could open your eyes to new horizons and make your organisation more productive and competitive. Furthermore you'll potentially gain access to new networks, yet more opportunities, and if your office has become a bit stale it could give it a new dynamism. Of course, you're going to have to make some compromises but the benefits will far outweigh the bad stuff. Anything that's "green" has to be good right? Well, mostly I guess. It's costing you the same to heat and light your office space whether all your desk space is being used or not. So it stands to reason that filling those empty seats, providing office space to rent to people who are consuming power in the isolation of their homes etc, has to be green. So if you rent office space you're not using you're doing your bit for the carbon reduction project. Perfect! OK, we're biased because we simply believe in coworking and making the best use of office space. But when you think about it, it really does make sense. Since 2008 things have been tight and we've all no doubt experienced a challenging business environment. It's time to think out of the box and providing spare office space to rent to keen and hungry entrepreneurs is just the right thing to do. 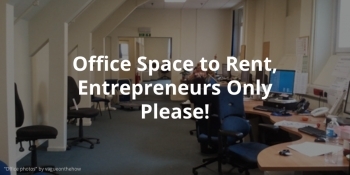 If this short article has whetted your appetite then why not advertise your spare office space for FREE here in Share My Office. Who knows, you might be helping the next Steve Jobs, after all Apple was started in a domestic garage.